South Asia Leadership Meeting 2017 organized by the Bangladesh Red Crescent Society (BDRCS) ends today. Chairman, Vice Chairma, Secretery Generals and other 17 representatives from 6 red cross and red crescent national socieities in south asia participated in this occation. Today, 13 April 2017, Proffesor Dr. Md. Habibe Millat MP, Vice Chairman of the BDRCS was present on the occation as the chief guest of closing ceremony. The session was moderated by BMM Mozharul Huq, ndc, Secretery General, BDRCS. Meanwhile on 12 April 2017 the chirrman of the host national society Mr. Hafiz Ahmed Mozumder innagurated the opening ceremony. In the fórum Migaration, Climate Change, Gender and Divesity, Terrorism, Disabilities and other humanitorian situtation all over south asia were discussed. Among them resilence was one of the commonly discussed issue. 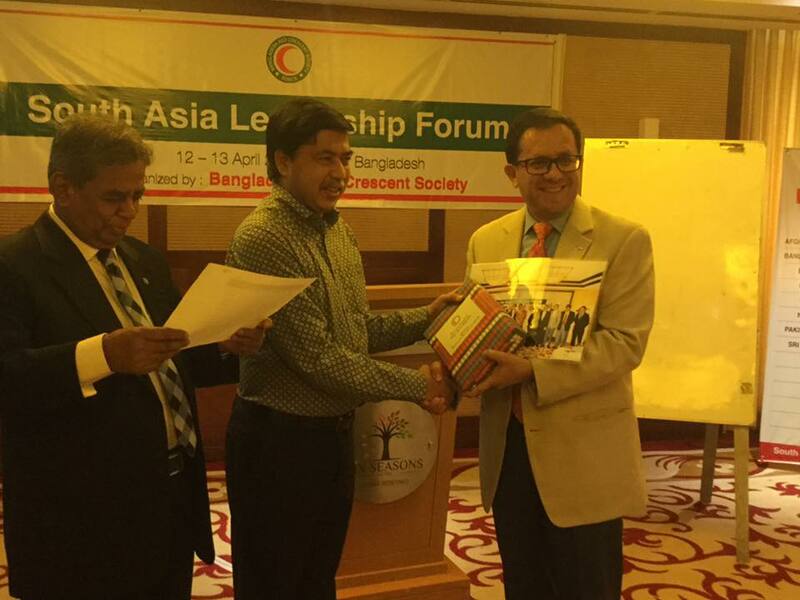 The South Asia Leadership Forum is a fórum of Red Cross Red Crescent leaders in South Asia.